A Balm for Every Season and Every Reason. No matter what time of year, I have some kind of dry patch on my body. Hands, knees, lips, elbows. I could go on and on. Finding a product that works in every season for all of these reasons has been no easy feat. Until now. I just discovered Rodial Glam Balm - the world's most fabulous super balm. This super balm plumps lips, treats skin, nourishes my hands, soothes a sunburn, even strengthens my nails. It is a wonder balm and can be uses just about anywhere for hundreds of different uses. All with success. This multi-purpose treatment is enriched with calendula, bergamot and hard working vitamin E. As moisture is immediately injected into affected areas, collagen is boosted and elasticity is restored. 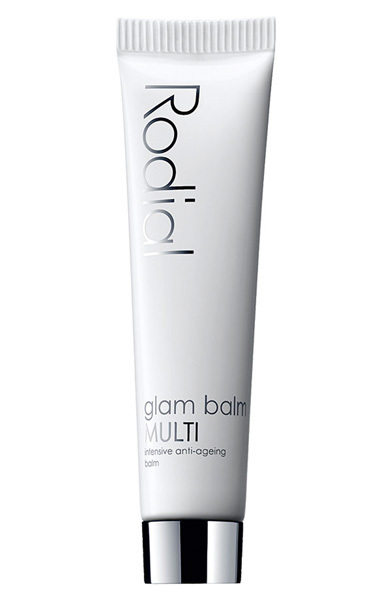 Check out Rodial's Glam Balm at Beauty.com. It will become a staple in your handbag - promise.